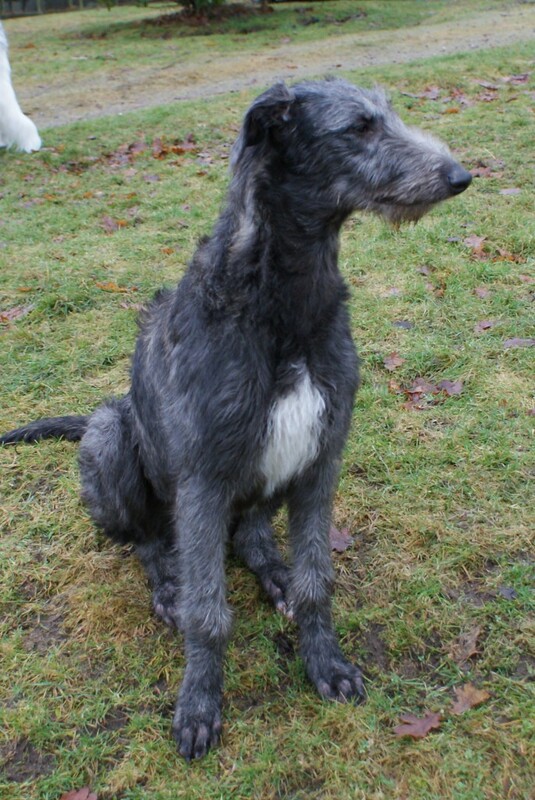 Scottish Deerhound is a breed from the UK and is a wire-haired greyhound reminiscent of an Irish wolfhound but are not as high and not as rough. Deerhounds combination of courage, strength and affection made them indispensable for hunters. When the firearms made their debut, the breed lost its importance as hounting dog and would probably have died out, if it had not been rescued in 1831. A breed standard was established, which is unchanged today. The breed got its name when dog shows began in the 1860. 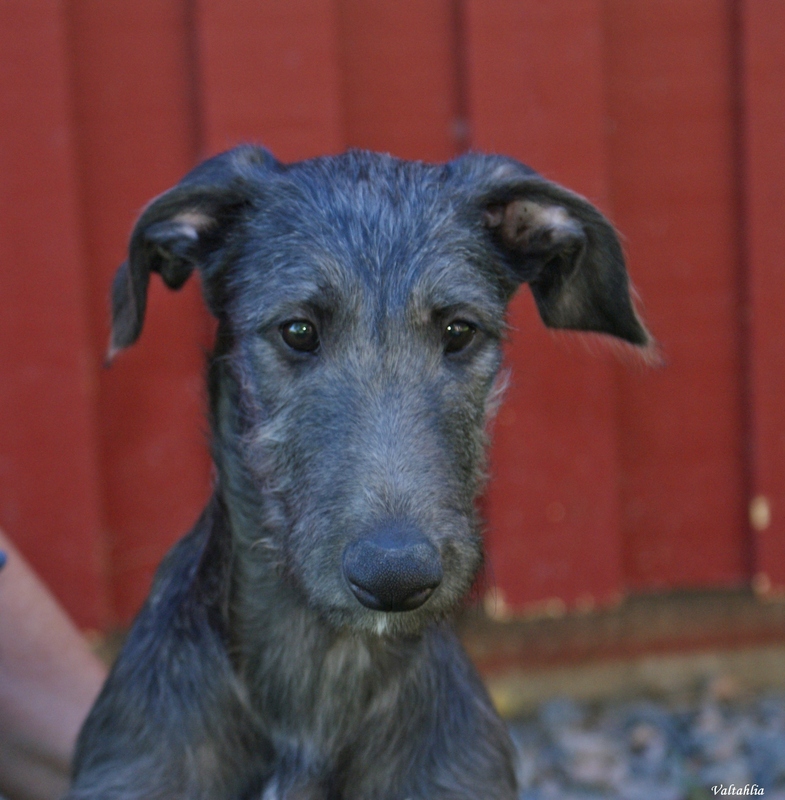 On the first Swedish dog show in 1886 one Scottish Deerhounds was shown. The first Swedish litter was born 1913th. When the breeds main task was no longer to hunt has its good character and love of people and its mild and friendly nature made it a much loved pet. This dog’s body is characterized by a unique combination of speed, strength and endurance, which is required to put down a deer. 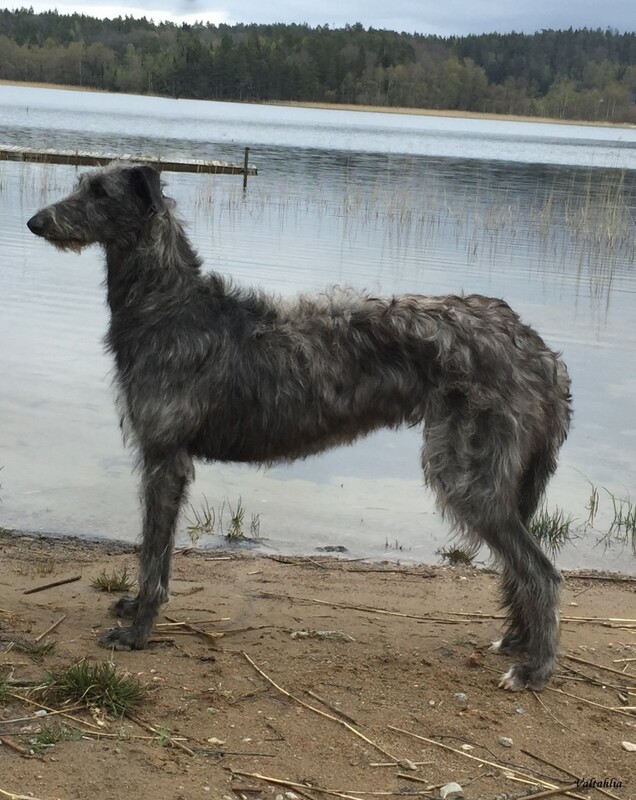 A deerhounds behavior is characterized by dignity, gentle and friendly. It is obedient and easily trained, because it is eager to please.